If at any point in a hand there’s only one player left–in other words, if everyone folds, the player still in the hand wins the pot by default. Anytime the bet comes to a player, they have the option to call, raise, or fold. Texas Hold’em strategy involves knowing when to fold, because bad poker players tend to stay in hands too long. Raising a hand forces your opponent to make a decision, so focus on Texas Hold’em tips which teach you how to raise the pot. 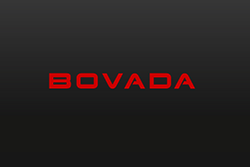 Bovada Poker offers its new players a 100% up to $500 bonus; giving Hold’em players the chance to lay down $500 on the felt. 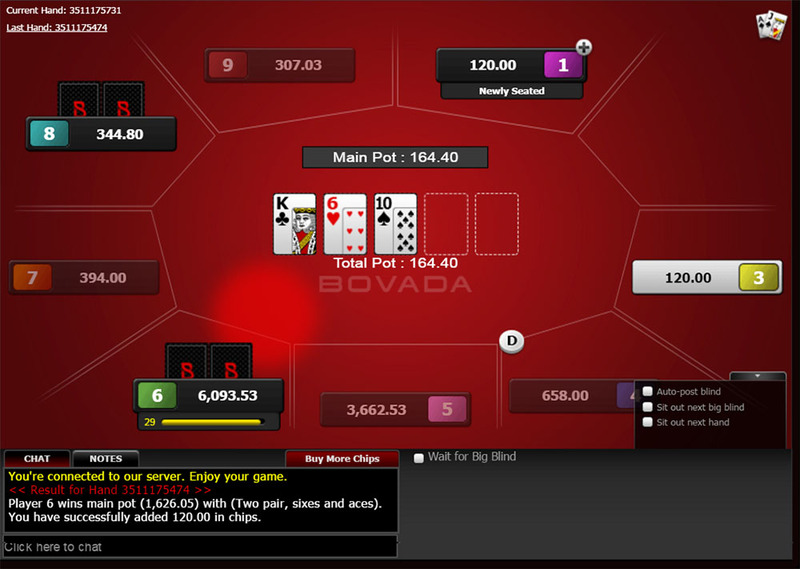 US players are accepted at Bovada Poker, where they can join thousands of other players on the PaiWangLuo Network. Bovada sold its poker community to Ignition Casino in 2016, but reopened its poker room recently. 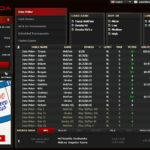 While its player pool is unknown, the new Bovada Poker offers $1.5 million in guaranteed prize money each week, as well as a $100K Sunday guaranteed event. 888 Poker offers the best $88 no-deposit bonus among our recommended sites; they do not accept US players. 888poker also offers a $400 deposit bonus, which is one of the best offers among European poker rooms. 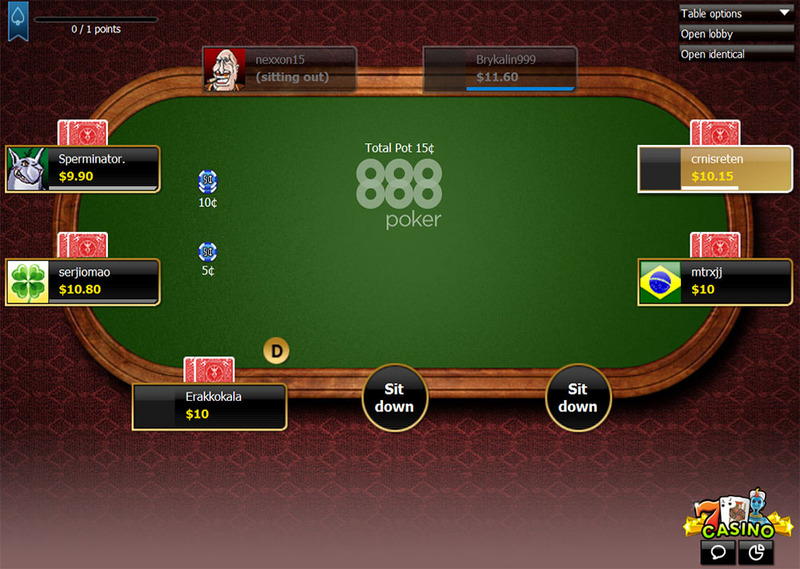 888poker has the third-largest player pool in the world, according to PokerScout. For that reason, it has a dynamic array of cash games, sit & go’s, and tournaments. 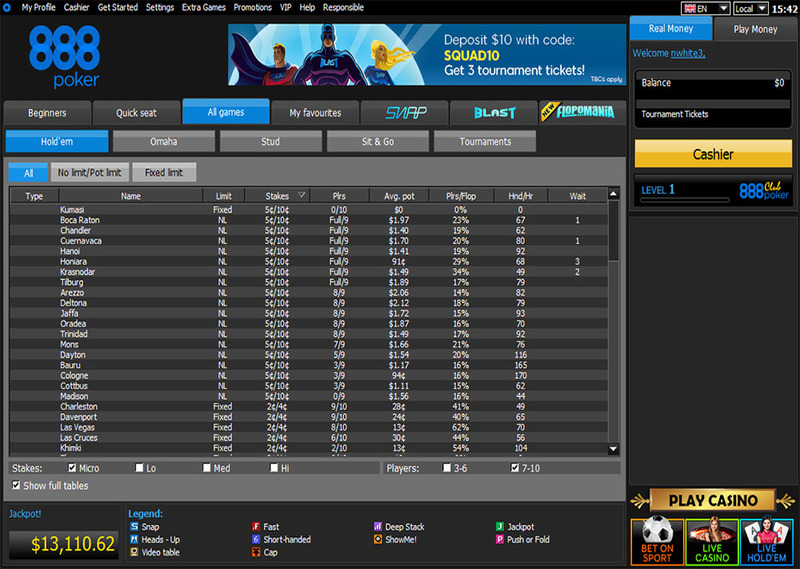 It also offers fast-fold poker (“SNAP”) and web cams, so you can see your opponent. With real money stakes ranging from 1¢ to $1000, every type of Texas Hold’em player will find the game they want. Texas Hold’em is the most popular poker game variation being played today. Texas Holdem rules are easy to learn. Below are the key rules every player should remember when playing Texas Hold’em. Rule #1: Blinds and Antes: Texas Hold’em has two types of blind bets: the big blind and the small blind. Blind betting forces the action at the table, so every pot has action, even if all but one player folds after the deal. Texas Holdem casino rules do not have ante bets, so most players at a 9-seat table do not have a required bet each hand. The big and small blinds rotate around the table on a clockwise basis, usually the first two bettors left of the button. Throughout a tournament, the blinds increase in order to drive action. Rule #2: The Button: The button follows the player who is the acting dealer in a given hand. This tells who is the last acting player in post-flop streets of play. The player “on the button” thus gets a big advantage, because he or she gets to see what decisions all other players make first. Rule #3: Best 5-Card Hand: The object of Texas Hold’em is to build the best 5-card hand using your 2 hole cards and the 5 community cards. Any two can be discarded, including the two cards in your hand, though that is rare. Other players have 5 cards in common with you, so the strength of your two hole cards tend to be supremely important. Rule #4: Poker Rake: In Texas Holdem online real money events, the house takes a rake of each pot. The poker software does this automatically, but you need to be aware of the poker rake at each website, because this affects how much you win or lose. Rake percentage is also one of the factors we use to rate online poker sites. Rule #5: The Bubble: This is the point in the tournament when players receive winnings. Like the bubble in March Madness, those on the outside of the bubble lose and those who make the bubble win. When playing online Texas Hold’em tournaments, you need to be aware of the bubble and how it affects the aggressiveness of players remaining in the event. Rule #6: Bet Limits: Different variations of Texas Holdem poker rules exist for betting limits: Limit Hold’em, Pot Limit Hold’em, and No-Limit Hold’em. Limit Holdem restricts the bets on the pre-flop and flop rounds of betting to the size of the big blind (“the small bet”), while it is limited to two times the big blind (“the big bet”) during the turn and the river. In Pot-Limit Hold’em, the maximum raise is the current size of the pot. In No-Limit Hold’em, players may make a bet equal to all the chips the player has at the table. The traditional poker hand ranks apply in Texas Holdem. The royal flush is strongest, followed by the straight flush. The four of a kind is the third best hand, followed by a full house. 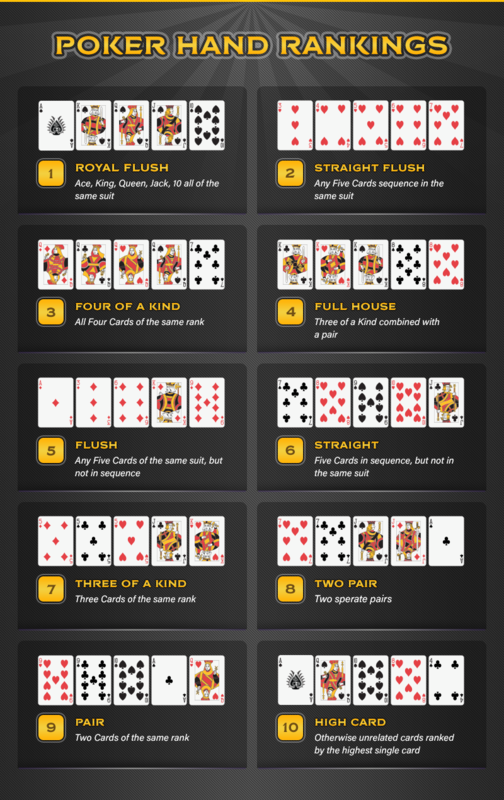 The next best hands are the flush, the straight, and the three of a kind. Two pair are next best, followed by a pair. If no one in the showdown holds a pair or better, then the high card wins the pot. There are three betting limits when playing Texas Holdem: limit, pot limit, and no-limit. Texas holdem is played with table limits. In limit holdem, the amounts of the bets are set. For example, if you’re playing in a $3/$6 Texas holdem game, the bets during the first two betting rounds are in amounts of $3, while the bets in the final two rounds are in amounts of $6. In a pot limit holdem game, the player can bet as much money as the pot contains. So if there’s $100 in the pot, a player can bet $100. In a no limit holdem game, a player can bet as much money as They has in front of their at the table. If a player can’t cover a raise, they don’t automatically lose. They’re only able to win the amount that they can cover, and a side pot is created for the differences. In real life, people don’t usually lose their wives or houses just because they don’t have enough money on the table to call a bet. Most beginners will be able to hold their own with just that little bit of Texas Holdem strategy advice, but there’s a lot more to the game’s strategy than just that. Even understanding starting hands can take quite a bit of study and practice to figure out. The strength of the two hole cards you’re dealt should determine whether or not you even play a hand. The best possible hole cards you can have are a pair of aces, while the worst is a deuce seven offsuit. Pairs in the hole are often playable. 1. Suited Connectors – Suited connectors are two cards that can potentially generate a straight, a flush, or a straight flush. You can play them sometimes, but they are speculative. 2. Looking for an Ace-High Flush – Having an ace with another lower ranked card can sometimes be playable, but usually only if they’re of the same suit. In this case, you’re hoping for an ace-high flush. The strength of your hole cards isn’t the only thing to consider when deciding whether or not to fold before the flop. Your position (relative to the button) matters too. Position matters, because it determines how many bettors play behind you, thus forcing you out of a pot after making a call or raise. 1. Early Position & Marginal Hand – If you’re acting early in the betting round, and you have a marginal hand, you’re better off folding. This is because someone behind you might hold strong cards and raise your bet, forcing you to fold. 2. Late Betting Position Advantage – If you’re acting late in the betting round, and you have a speculative hand, then calling can be a good strategy if you can get into the pot cheap (especially if there are a lot of players in the pot). You won’t win very often with speculative hands, but if you’re in late position, and a lot of players are in the pot with you, you’ll get a big payoff when you do win. Once the flop hits, you have to decide again whether or not to continue to play your hand. Look at how well the flop complements the hole cards you have. Betting post-flop is situational; you’ll need to figure out what possible hands your opponents have and how they stack up against your hand. 1. Folding with Two Aces – If you have a pair of aces and the Flop comes KK8. If the 8 matches the suit of one of the kings, you’ve got a lot of potential things to worry about. Anyone holding an ace probably has you beat. Anyone with two suited cards that match the two suits on the board has a strong flush draw. You’re better off folding. 2. Going Strong with Two Aces – On the other hand, if you have pocket aces and an ace hits on the flop, you’re in good shape. Or if you have an ace and a king of the same suit, and the flop comes up with two more cards of that suit — you’ve got a good chance at drawing to a flush. Your betting strategy as a Texas Holdem beginner should be pretty simple. Bet, raise, or fold. Calling and checking is for suckers. If your hand is strong enough to play, then it’s strong enough to bet or raise with. If it’s not strong enough to play, save your money and fold. 1. Get Hints of Your Opponents Hand by Raising – Raising forces your opponent to make a decision. It puts pressure on them, which could force them to make a mistake. If not, it gives you information on the strength of their hand. Calling or checking to the opponent lets them off the hook, because they don’t have to make a decision — and you get no more information than you had. 2. To Fold or Not to Fold – Folding is an art. The best poker players walk away from a bad bet, which is sometimes the hardest thing to do in Texas Hold’em. Stu Ungar, one of only two players to win the World Series of Poker Main Event three times, told players, “Fold and live to fold again”. Mobile poker sites allow card players to bet real money on Texas Hold’em using their smartphone or tablet computer. Mobile card rooms have poker apps for Android and Apple IOS devices, so you’ll be able to play with Android smartphones and tablets, iPhones, and iPads. Some mobile poker rooms also have real money poker apps for Windows Phone, Blackberry, and Symbian. Almost 50% of all Internet poker players now prefer mobile poker to online poker, so most devices are compatible with mobile Texas Hold’em sites now. Texas Holdem real money apps need to be downloaded on mobile poker sites. You can find and play free mobile Texas Hold’em on other apps on Google Play or the iTunes Apps Store, but real money poker apps are located on mobile poker sites. The mobile software is found on a page with prompts like “Mobile Poker App”, “Android Poker App”, or “Top iPhone and Android Apps”. 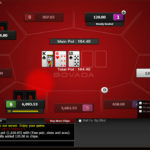 Many top brands sometimes link from their online poker site to the mobile apps, but others have dedicated mobile poker sites to serve their customers. The best Android Texas Hold’em sites offer fast, safe, and secure downloads for smartphones. Mobile poker is compatible with 3G, 4G, and LTE. Android poker bonuses are comparable to what you’ll find on online poker sites. The latest Texas Holdem Android casino apps provide support for Samsung Galaxy Note 8, Samsung Galaxy S8, LG G6, LG V30, HT U11, OnePlus 5, and Google Pixel. Apple iPhone and iPad provide great customer support and high levels of security for Texas Hold’em gamblers online. Compatibility is not an issue for Texas Holdem real money iPhone or iPad apps, though Apple desktop computers have had compatibility issues with online poker sites in the past. Mobile Texas Hold’em apps work with iPhone 5, iPhone 6, or iPhone 7. Mobile casino Texas Holdem offer downloads for iPhone 8 and iPhone X now, of course. Below are some frequently asked questions new Texas Hold’em players ask. Anyone with additional poker-related questions should contact us and we’ll be happy to provide the information you need. Let’s start with a basic question. Can you play Texas Hold’em online for real money? Yes, real money Texas Hold’em is available online to most people in the world. Hundreds upon hundreds of online poker sites exist. The real question is finding the best Texas Hold’em sites, which offer the most poker tables, the best bonus offers, the quickest and most secure payment options, and the greatest security and safety for the player. Read through our reviews to get the information you need for the best online poker experience. Why is Texas Hold’em so popular? Texas Hold’em is a game of skill, where so many casino games are games of chance. Hall of Fame card player Johnny Moss once said, “Hold’em is to stud what chess is to checkers.” The best Texas Hold’em players need to combine math skills, acting skills, and insight into human psychology. Poker players need patience combined with a killer instinct. They need to be competitive, persistent, and calculating. Texas Hold’em requires a player to control their emotions, while a table full of perceptive people reads their every move, facial expression, and statement. Beyond that, Texas Hold’em contains elements of sheer luck, so everyone thinks they have a shot to win. How to play Texas Holdem at a casino table? 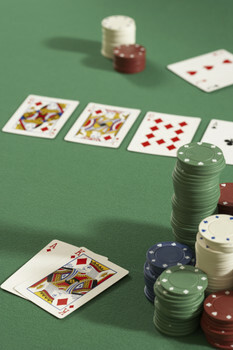 Players have a variety of options for playing Texas Hold’em as a table game. Ultimate Texas Hold’em is a game from Shufflemaster which is available in live and online settings. Casino Hold’em — called Caribbean Hold’em on RTG sites — is a table game with elements of Texas Hold’em. A handful of Las Vegas casino have offered a table game called Texas Hold’em Bonus over the years, but it’s not commonly played there. These games are like Texas Hold’em, but you’ll play against the casino, rather than against other players. What happens if two players have the same top hand? They split the pot. If two players hold a straight, the straight with the top card wins. If their straights had the exact same top card, then they would split the pot, though. Where can I play Texas Holdem in Vegas casinos? Bellagio and The Venetian each have 37 poker tables at the moment, which ties them for the most poker tables on the Las Vegas Strip. Aria Resort & Casino is next with 24 poker tables. MGM Grand and Caesars Palace each house over a dozen poker tables. Among Off-the-Strip Vegas casinos, the Orleans Casino has 35 poker tables, South Point Casino and Green Valley Ranch Casino each holds 22 tables, and Red Rock Casino has 20 poker tables. Most are Texas Hold’em tables, though you’ll find Omaha, Seven-Card Stud, and other poker variants in the bigger Las Vegas poker rooms. 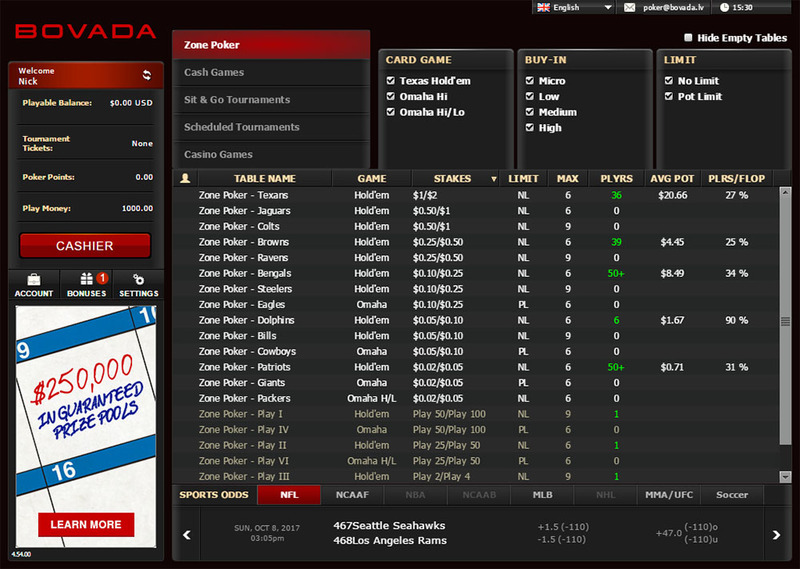 Where can I play Texas Holdem online for real money (USA)? Starting in August 2017, Bovada Poker accepts real money Texas Hold’em players from the United States and offers a $3000 bonus offer. BetOnline Casino and Slots.lv each offer $1000 welcome bonuses to new Texas Hold’em players. All four offer Sit & Go events, heads-up poker, MTTs, and poker satellite events. Where can I play Texas Holdem online for real money internationally? Bodog Poker is one of the oldest gambling sites on the Internet. Bodog offers a $1000 welcome bonus and up to $2 million guaranteed in weekly tournaments, including the $250K Guaranteed poker event each Sunday. 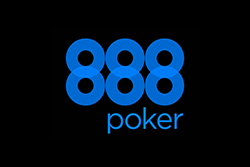 888 Poker is a good option for those who want to test a site before depositing, as it has a $88 no-deposit bonus. 888 Poker offers events like the Mega Series, The Highrollers, and the XL Championships.